Now that mobile photo and video quality are almost in par with a DSLR, it is much more convenient to capture moments now on your phone. In line with this ever-growing camera innovation, photo and video editor apps are also on the rise. Here are 5 best video editor apps you can find in the Play Store today that will take away the hassle of transferring and editing your files on a computer. ActionDirector is one of the most popular video editor apps for Android. It does the basics in editing such as import clips, edit them on ways you like, and render the video. You can also add your own music, cut and trim videos, add text, play in slow motion, and more! Also, it’s one of the limited apps that support editing 4K video quality. However, it is not compatible with all devices. You need to check first with the tool linked in the Google Play Store if it’s compatible with your phone. FilmoraGo is the mobile version of the PC video editor Wondershare Filmora. Unlike the PC version, FilmoraGo can be installed for free with free features such as auto text animations, overlays, transition music, and more. There are in-app purchases if you want better effects. It is also one of the best editing apps and very user-friendly at that. It includes the ability to play in reverse, do square videos (1:1) for Instagram, 16:9 videos for YouTube specifically, and slow motion. Funimate Video Editor Effects is not that powerful for a video editor, but it is surprisingly popular. The app does enough to earn the users’ loyalty. Funimate provides 15 video filters that you can play with. It has things like video effects, but this isn’t something you want to use for a serious video. The name itself screams specifically only for fun, and you can download it for free. If you’re looking for more serious editing that will wow your audience, then Adobe Premiere Clip is the right editing too for you. It has a laundry list of features, including the ability to auto-generate videos using your images and video if you don’t want to do it yourself. Of course, it comes with manual editing and a variety of tools, effects, and music at your disposal. Sadly, the app is pretty heavy. PowerDirector is one of the most comprehensive video editors for Android and it comes with a ton of features such as visual effects, quick editing tools, slow motion support, and a collage maker. The interface should be familiar to all video editors since it showcases the classic timeline editor method. It’s free to download, but you’ll need to dig deeper into your pocket if you want to get all the features. Are you up for some video editing and boost your social media following? 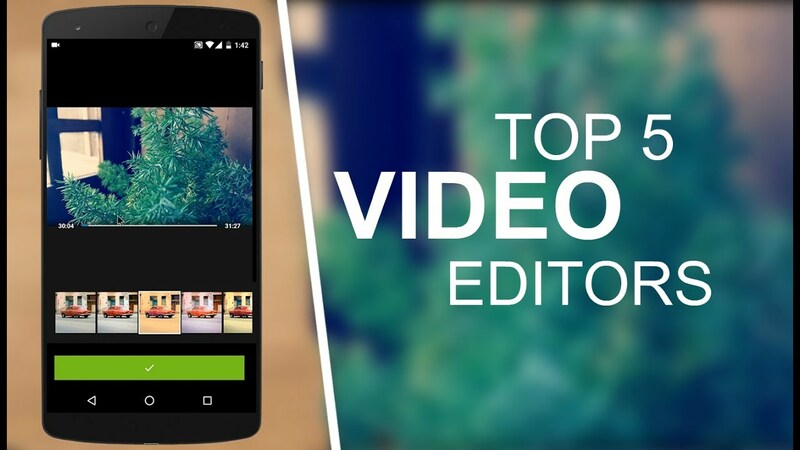 Try these apps out and see which one fits your style, then tell us which app is the best video editor on Android today.